Upgrade your race day experience with these ticket add-ons! VIP Weekend Pit Passes for race weekends get you access to the pits up to an hour before race start each race day. 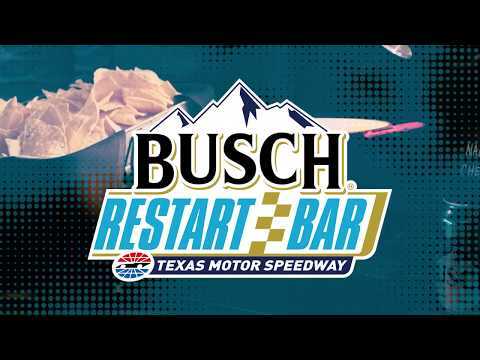 See all the sights and hear all the sounds from the Restart Bar in an exclusive area between turn 4 and the start-finish line. Fans have the opportunity to purchase a pre-race pass for $79 to gain access to the track surface in front of the stage for the Loud & Proud Pre-Race Show and driver introductions on the Monster Energy NASCAR Cup Series race day. *Pre-race pass must be accompanied with a Monster Energy NASCAR Cup Series race ticket to gain admittance. Raceday University with Coca-Cola is a party school you can't flunk out of with a racing twist. Including a race ticket, pre-race pit pass, free food and Coca-Cola beverages that are welcome to be spiked, plus a Q&A session with your “professors” who just happen to be some of the BIGGEST names in NASCAR, Raceday University will have you asking for extra credit. Find driver appearances exclusively on the Texas Motor Speedway Mobile App. Make a lasting impression on clients, employees, friends and family with the Victory Lane Club Suites. Relax in climate controlled comfort and enjoy food from our delicious Chef’s Tables while watching each race from the Luxury Suite Level in Turn 4. Fans can listen to the driver and team communications during race weekend with a scanner and headset from Racing Electronics. Pacesetter Pit Stop Park at Texas Motor Speedway is an exclusive tailgating area located in the VIP Parking Lot between Gates 3 & 4. The park includes public amenities such as an upscale portable restroom station, picnic tables and horseshoe pits.